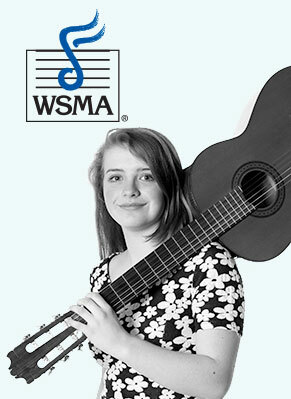 The festival program for which WSMA is most well-known, Solo & Ensemble, draws in more than 100,000 students each year, representing every county in the state of Wisconsin! 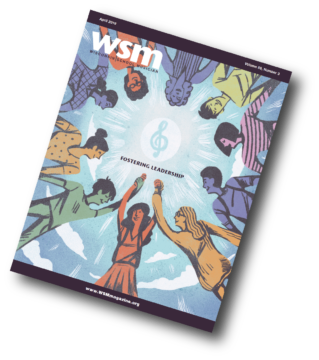 “I still have my Solo & Ensemble medals” is a statement regularly heard by WSMA staff from generations of festival participants who take pride in this long-time tradition, which creates memories and skills for life. Through the Solo & Ensemble experience, students learn the discipline of rehearsal, are challenged to advance their musical skills, perform in front of an audience and adjudicator, and receive feedback on their performance. Those that perform at the highest level (Class A) at a WSMA District Festival have the opportunity to receive a 1* (one-star) rating which advances them on to State Solo & Ensemble Festival. Each year over 32,000 students (11,000+ events) qualify at district festivals to perform at State Solo & Ensemble festival making this event one of the largest of its kind in the nation. These students represent the student talent and high quality of music programs in Wisconsin’s schools. District festivals are held at local schools and scheduled by the district festival manager. Adjudicators are selected by WSMA. For students that receive a “starred first” rating (*1) at the Class A level at a district festival. State festivals are held at a total of 11 University/College campuses around Wisconsin. Scheduling and adjudicator selection is done by WSMA. Class A – Advanced level. *Teachers may choose the appropriate level for their student. Rehearsal – Student’s learn about and rehearse their chosen selection. The student reports to the performance room at the assigned time. The student introduces themself and their selection, then performs.